I'd love to see you on No dig Vegetable Garden's FACEBOOK page and right now you'll see a poem about daffys (and politicians) in springtime. The planet is covered in stardust. Every year, 40,000 tons of cosmic dust falls upon our planet... on us, on the plants and animals and into our soil. It’s not something we notice, but eventually all that dust, which is made of oxygen, carbon, iron, nickel, and all the other elements, finds its way into our bodies. We really are stardust! 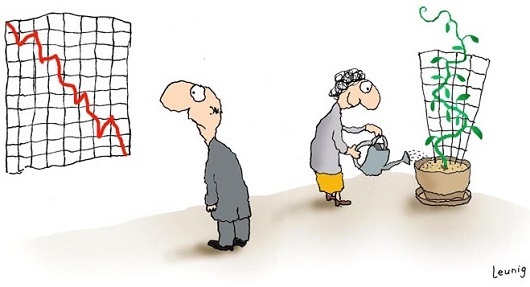 (Source: Treehugger). Have you got a path or patio with bricks or pavers that insists on sprouting weeds in the cracks? A lovely solution is to scrape out the mess and sprinkle soil and seeds of chamomile or thyme in. Flore Pleno chamomile grows up to 5 cm, or try Treneague commonly called Lawn chamomile. For thyme choose creeping woolly thyme or carpeting thyme varieties. Fresh herbs are nicer than dried herbs, and frozen herbs are actually still pungent and flavorful when thawed. To freeze, pick herbs at their best then chop and pack into ice-cubes trays. Top with boiling water, which stops enzyme activity and helps retain color and flavour. 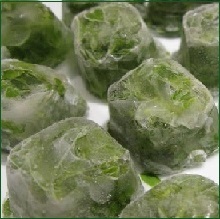 Store frozen cubes in a bag and pop one into your recipe when cooking. One cube equals roughly one tablespoon chopped fresh herbs. Coriander and basil go really mushy when thawed, but still look and taste good when added to stews, sauces, soups and suchlike. Bring nature inside for an eye-catching photo display! View HERE. 1. Mix the turmeric with the boiling water to make a thick paste (heating helps to make the turmeric more bio-available). 2. 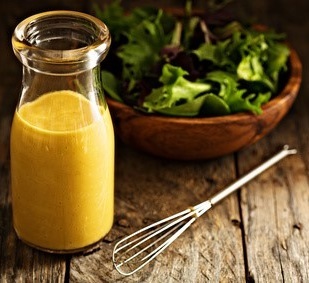 Using a jar or small container with lid, combine turmeric paste and all other ingredients. Shake well until combined. 3. Use as a salad dressing or dip for vegetables.